Watercolor clip art mini bundle; pastel roses; 3 wreaths and 2 sprays. 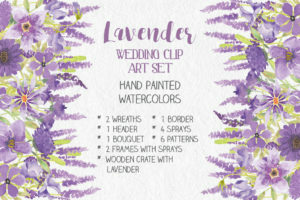 This watercolor clip art bundle is great value for money! The collection is designed with dainty ice cream-colored roses. Perfect for wedding stationery or other items with a spring or country garden theme. Ideal for all types of paper-based crafts such as wedding stationery, scrap booking, decoupage, card making, labels and much more! The bundle includes 3 wreaths and 2 sprays. All the wreaths measure 10 inches X 10 inches (3000 X 3000 pixels). Both floral sprays measure 8 inches X 8 inches (2400 X 2400 pixels). 1 zipped folder is immediately available on purchase containing the 3 wreath files and the 2 spray files (JPEG and PNG) – 10 files.